Samsung has been developing foldable OLEDs for a long time, and several reports in the past few months suggested that Samsung is working on a foldable phone (or maybe two? ), to be released in 2017. The so-called Project Valley is still under development at Samsung. Samsung Electronics Mobile Communications Business President Koh Dong-jin says that Samsung aims indeed to roll out foldable smartphones in the future - but the company "needs more time" to actually bring this to market. Interestingly he said that the major challenges are in the software and user interface - perhaps the development of the foldable OLED display itself is nearing completion. Is it my imagination or has the OLED realm seen a string of disappointments lately ? 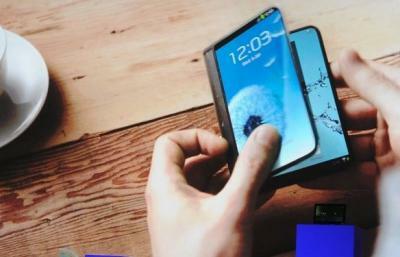 I think that OLEDs are set for exciting growth ahead - especially in flexible OLED displays. Lighting has always been on the sidelines, but you can still be optimistic.